I was over the moon when I was asked if I wanted to take part in the #LetsGetSkirty campaign with George at Asda and I obviously said yes! I was kindly allowed to pick some items to test out; I wanted to pick items that were a bit out of my comfort zone. Here are the three spring looks I created! I love the skirt, it is very out of my comfort zone which is why I chose it. 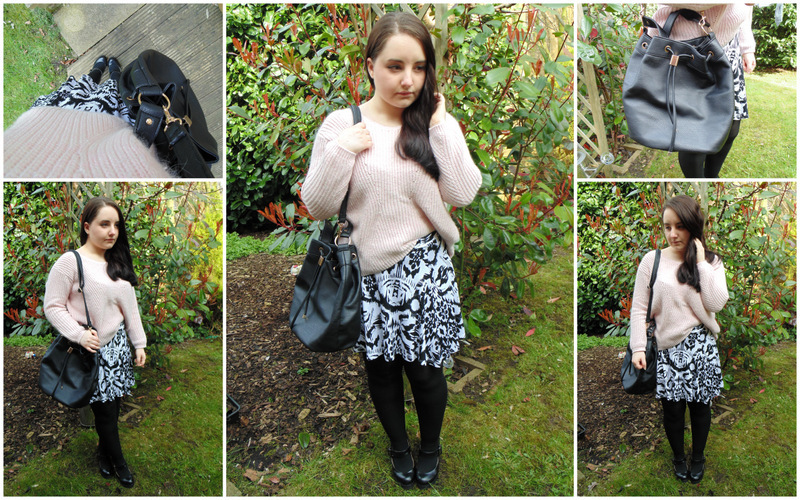 Also skirts are more feminine, spring items rather than my usual skinny jeans! The watch is also gorgeous, it is so inexpensive but simple and pretty. I think this look would be a great smart casual look for the office or a formal occasion while still being feminine. This look is my favourite! To me it is quite french inspired because of the red lip and stripes *I love stripes*. I also love the clash of prints and the off the shoulder Brigitte Bardot style top. To me this outfit is more of a garden party outfit. I love the fit of the skirt and top, especially for a cheaper brand. Last but not least, an English weather appropriate outfit as even during spring it is still fairly chilly in Manchester! 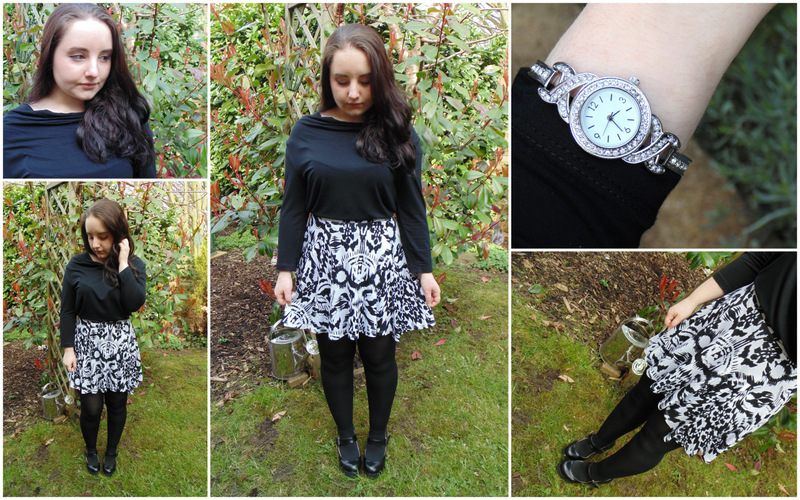 I love the combination of a fluffy oversized jumper and a monochrome flowing skirt. I also love the bag, I have wanted a bucket bag for ages and this one is perfect! It is massive so I can carry around all of the unnecessary items I insist on carrying with me! What do you think of my three outfits? Do you shop from George at Asda? These are such lovely outfits, I love outfit 3 so much! This skirt is really cool and you styled it nicely! What a pretty skirt and I love how you styled it three ways Heather. Also that watch is so nice. I love all 3 looks but the third look is definitely my favourite! Super cute and yes, perfect for Spring. Love the combination of prints in outfit 2! Very cute! Also, I am in love with your blog header! I love George from Asda! They do some lovely pieces and are always great value for money. This skirt is lovely, it really suits you. 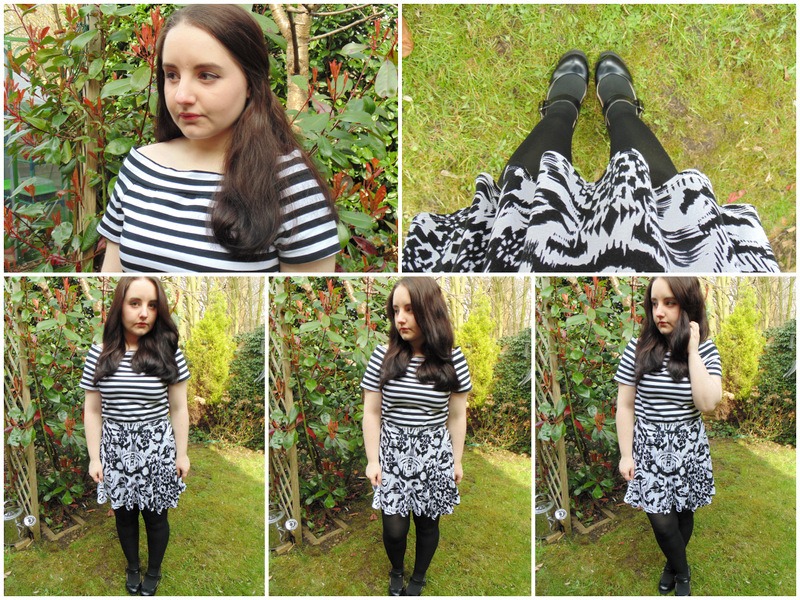 ASDA have been having such pretty clothes recently!